Flappy Bird deleted: Splashy Fish, Flappy Bert, Badland are best alternatives. 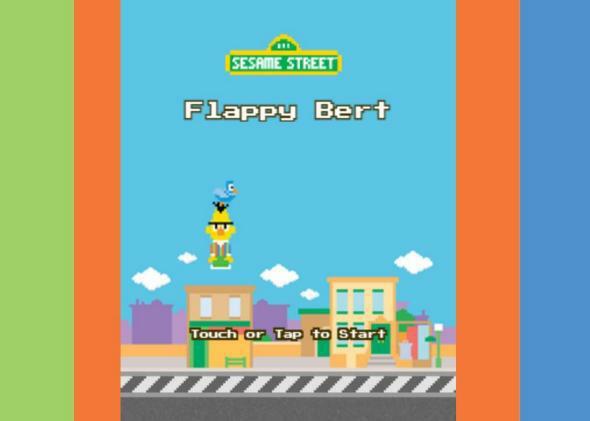 Among sincere tributes to Flappy Bird, Sesame Street’s effort stands out. Even before Dong Nguyen rocked the mobile-gaming world by removing his sublimely simple smash hit Flappy Bird from app stores, knockoffs of the game had become a cottage industry of their own. Fly Birdie, City Bird, Clumsy Bird, Flappy Bee, and Flappy Plane are just a few of the most popular. Now that the genuine article is gone and heartbroken fans have had time to test out the alternatives, the best of the ripoffs have risen to the top of the charts. 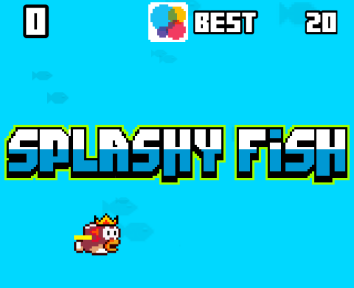 Splashy Fish is the most playable of the blatant ripoffs. That said, my favorite Flappy Bird tribute of all comes not from any two-bit gaming studio looking to profit from Flappy Bird’s fall, but from the surprisingly quick-thinking software engineers at Sesame Workshop, the nonprofit that produces Sesame Street. Yes, they’ve gone ahead and made a game called Flappy Bert, an ad-free, Web-based widget that manages to embrace both the whimsical spirit and the unexpected difficulty of its famous forebird. There may be a bug or two, but it’s hard to complain when it’s both free and ad-free—and when Bert croaks out a final call for his old buddy every time he expires. You can play it here (n.b., headphones are highly recommended if you’re in an office): http://www.sesameworkshop.org/flappybert/. Finally, it’s worth mentioning at least one game that’s not actually a Flappy Bird ripoff at all, but a beautiful and compelling flying game in its own right. It’s called Badland, and it’s on sale for $1.99 in the App Store in the wake of Flappy’s demise. On Google Play, it’s free. Be warned that it’s not deliciously difficult, deceptively simple, or delightfully retro. It’s a different kind of great indie game—gorgeous, fluid, and a little haunting. Who knows, you might even find you like it better than smacking a demented yellow sprite into a green pipe over and over again. The Rise and Fall of Flappy Bird: How an Amateur-ish iPhone Game Soared to Such Heights, and Why It Had to Die.